In normal political times, if such things can exist, a government that has been defeated twice on its flagship policy would resign. In a contemporary cartoon, Gladstone was pictured writing his resignation letter to Queen Victoria immediately after the defeat in the Commons over the issue of Irish Home Rule. No such principled stands eem to reign in modern British history. Theresa May has broken every rule of political honour over the course of her premiership. Rather than accepting that her Brexit proposal was dead, she has ploughed in the face of animosity to give the Commons numerous bites at the cherry. Only when she gets the result she wants will the votes stop. For someone so opposed to the idea of a second referendum, this seems like a puzzling strategy. That said, there is a growing feeling among Westminster, especially among those opposed to the Withdrawal Agreement, that the end of road is getting increasingly close. The vote last Wednesday to rule out no-deal reduced the options that MPs can approve. It also helped the Prime Minister. It means that, ultimately, the hardest form of Brexit on the table is May’s deal. This harsh reality has not yet dawned on the ERG, but it is high time they realised the choice on offer. The Commons also voted to ask Brussels for an Article 50 extension. The government wants one that is ‘short and technical’, but the EU will almost certainly disagree. Brussels will almost certainly propose something that extends the date to at least the time of the European Elections, something that May and her MPs refuse to countenance. This forces those who previously oppose the deal to see the other options. May will come back and offer them a stark choice: back my deal or take this long extension. It is a huge gamble, but come the end of March, it could just work. This particular bet means that there could be a deal reached with the Commons just days before March 29th. The third meaningful vote has little chance of being a success, but if the margin of defeat is reduced to double figures, then there is a chance that the arithmetic may eventually fall in the government’s favour. That said, Philip Hammond’s words on Sunday morning would seem to say that MV3 was the one the government was looking to win, or at least make the result extremely close, if it is allowed to go ahead before the 29th of this month. The meeting of the European Council on 21st will offer a lengthy extension, which could propel many to reluctantly support the deal they hate at the fourth time of asking if no green light is shown later this week. John Bercow’s warning to Downing Street that no new vote could take place if the deal on the table remained ‘substantially the same.’ This move will anger No10, but it could also help them. It gives them extra leverage to go back to Brussels with the threat of no-deal, or big changes to the backstop so that Bercow can allow a vote to be called. If May does get her deal through, then one thing is clear among many in the Tory Party. She must go. Having been at the end of of her disastrous handling of the process, few are enthusiastic about her pursuing the domestic agenda. 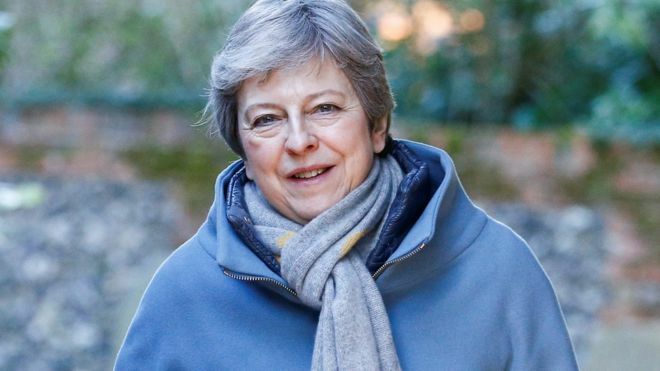 Talk of her offering herself up as a sacrifice to get the deal through is unlikely to materialise, the Prime Minister has an impressive ability to never know when the game is up. That said, a coup within the party could force her to leave a short time after victory. The extension that the government now wants only signifies what disaster the process has been. Theresa May consistently repeated how determined she was to leave on the 29th March, with a deal. After almost three years at the top of government, neither of those look like happening, unless the prospect of failure is enough to urge others to come on board. The other group that is needed to support the deal when it comes back again is the DUP. We must remember that it was this group who were given a £1 billion bribe to do exactly what they have failed to thus far, and support the government in the Commons. If the nationalists can be brought on board, then the deal certainly stands a large chance of passing, and the chances of that are increasing, there backing over the backstop changes could change other minds as well. Talks with the government so far have been apparently positive, and when the numbers are reduced, the DUP may provide the crucial backing that will get the deal through. If their leader in Westminster, Nigel Dodds approves to the amended deal, he is expected to carry many persuadable Tories along with him. At least, that is how Downing Street is hoping for it to play out. Theresa May does not have a political legacy that is not Brexit, and it will surely be this issue that brings her down, just as it has so many other leaders of the party she has been a lifelong member of. If she is able to command the extremely reluctant support of her backbenchers, then she will face such pressure from her own party that her position has become untenable. No one has drawn out this plan, as politics in Westminster is notoriously unpredictable. But it may be the only way ahead to cleanse us of Brexit, at least for a little while.